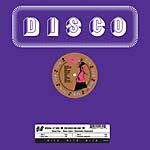 "Produced by the legendary Patrick Adams, the studio-bound disco unit Cloud One made its debut in 1975 with the spectacular Atmosphere Strut. At a time when most music was recorded with a full army of studio musicians, Cloud One records were mostly played, arranged and mixed in their entirety by Patrick Adams himself! The ability to 'work on his own' allowed the music to feel more experimental than the work he did on major labels at the time. While there's been other compilations, this is the first official P&P collection dedicated to the work of Patrick Adams as Cloud One. Spaced Out compiles the best of Cloud One's output with songs from their Atmosphere Strut LP, their Funky Disco Tracks EP and a number of known 12" singles, as well as some hard-to-find titles like 'Patti Duke', 'Don't Let My Rainbow Pass Me By', and 'Flying High'. Spread across 2 CDs, Spaced Out is not only a good addition to fans of the P&P Catalog, but also the perfect introduction to the work of Legendary Disco Producer Patrick Adams." "A true holy grail from the Cloud One catalog, 'Don't Let My Rainbow Pass Me By' is the third of a string of titles on Golden Flamingo produced by the P&P duo of Patrick Adams and Peter Brown and featuring vocals from 'Guardian Angel' singer Margot Williams. 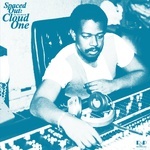 Similar to previous Cloud One's productions, this record had all the elements of a Patrick Adams classic, but with vocal arrangements that foreshadowed the work he would do with Inner Life and Jocelyn Brown at Salsoul. Perhaps not so much of a concidence then that Margot Williams would provide backing vocals on Inner Life's second and final album. Even though it was originally released in 1981, 'Don't Let My Rainbow Pass Me By' is still championed by high-profile deejays today. Over the years, it's been notably sampled in Basement Jaxx's Romeo and covered by Todd Terje and Prins Thomas in 'Reinbagan' as a dub-disco cut. Available for the first time since its original release, our only piece of advice is to don't let this classic pass you by." "Originally released in 1975, 'Atmosphere Strut' became an instant underground hit, cementing what was to become the signature sound for Patrick Adams -- or as many have referred to him since ? 'the master of the masterpiece.' This futuristic and ethereal disco cut released on Peter Brown's P&P label quickly became championed by Club DJ's throughout the Northeast after legendary radio personality Frankie Crocker broke the record on the New York Airwaves. Although Patrick Adams has had a string of hits in his career, 'Atmosphere Strut' remains a cult Classic for Disco aficionados. A mixture of modern sounds via the minimoog to an urban vibe at the time when parties happened in the streets of Harlem and parks in the Bronx. Add Sylvia Striplin's melodic chorus and you have yourself the perfect Disco Song. This Extended Disco-Mix from 1979 (On Queen Constance) retains all the qualities that made 'Atmosphere Strut' a classic, but optimizises it for the Club. More percussions and an up-tempo beat to make you fly away from the streets and straight into the Disco." "Cloud One was always a studio outlet for Patrick Adams to experiment. Even after the success of Atmosphere Strut, Adams continued to experiment with synthesizers (in particular the minimoog) to make this his signature sound or 'voice' as he called it. An indeed his usage of the synth was completely different from some of his contemporaries. With titles like 'Jump, Jump, Jump, Funky Track,' 'Stomp Your Feet and Dance' or 'Music Funk,' it was clear the spirit of this music was in Harlem. It's no surprise Adams felt at home in the many P&P subsidiaries. "P&P became this place where artists could be free, as opposed to an Atlantic Records or a Columbia Records, where everything is high spit and polished...We never told anybody on P&P what they could or couldn't do, what they should or shouldn't do. It was like, 'Go for it, if you want to bang pots and pans together, that's your sound." And what a Funky Sound it was. Official reissue of the rare sophomore LP by Cloud One." 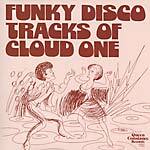 "Produced by the legendary Patrick Adams, the studio-bound disco unit Cloud One made its debut in 1976 with the spectacular Atmosphere Strut and throughout the seventies, became the centerpiece for Queen Constance, Golden Flamingo, Heavenly Star, and Sound of New York, all labels ran by Peter Brown & Patricia Gilyard. At a time when most music was recorded with a full army of studio musicians, Cloud One records were mostly played, arranged and mixed in their entirety by Patrick Adams himself!!! The ability to 'work on his own' allowed the music to feel more experimental than the work he did on major labels at the time. Released in 1977 'Disco Juice' is probably P&P's best-known cut and for good reason. All the elements are there; a catchy melody reinforced by Venus Dodson's vocals, a driving bass line, an accentuated piano and of course the signature Patrick Adams Synth Strings unifying the whole composition and creating a delirious and hypnotic effect. It's no surprise this Record has been a point of reference to many house music producers, and sampled famously by artists like Norman Cook and Paul Johnson. From the Streets of Harlem to the beaches of Ibiza, 38 years later this juice keeps aging like a fine wine." Repro-reissue of this underground disco album from 1976, in standard muffled pressing. 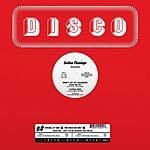 "The studio-bound disco unit Cloud One made its debut with the spectacular 'Atmosphere Strut', a drifting, blissed-out nugget of underground disco that featured a repeated female vocal refrain of 'We're gonna fly/Fly away.' More importantly, what made the song stand out from everything else released at the time was the wild synthesizer line from producer and arranger Patrick Adams, who -- as with dozens of other short-lived disco acts shamelessly chucked into obscurity -- helmed the group. The nine-minute single was also the inaugural release on P&P, the first of several small labels run by Adams and partner Peter Brown. Several Cloud One singles followed throughout the late '70s on P&P-affiliated labels, such as Queen Constance, Golden Flamingo, Heavenly Star, and Sound of New York. 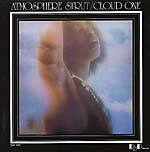 The Atmosphere Strut LP, released in 1976, compiled some of the group's 12" material (the LP included a seven-minute edit of the dizzying 'Disco Juice,' another Adams classic)." -- Andy Kellman.